Champion Hurdle runner-up My Tent Or Yours has been ruled out for the season with a tendon injury. 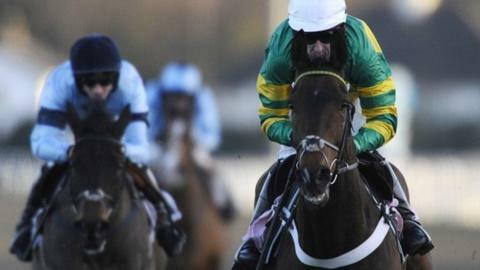 The horse, ridden by AP McCoy for trainer Nicky Henderson, was second behind fellow JP McManus-owned runner Jezki in the Cheltenham race in March. "Unfortunately he's had an injury and I'm not going to get him back for Cheltenham, so that's it for the season," said Henderson. "We were looking at the Fighting Fifth Hurdle, but it isn't going to happen."